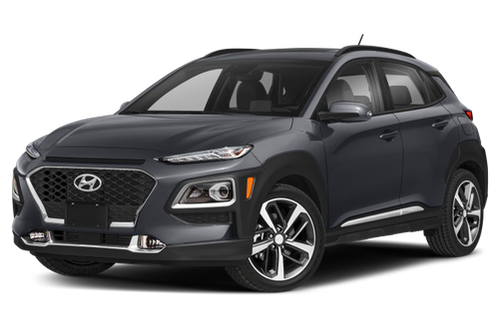 Tarbox Hyundai's New Monthly Specials Are Here! *Lease excludes $200 doc prep fee, $20 title fee, $650 bank Acquisition fee, registration fee and taxes. Lease based on 36 month 10,000 miles per year and top tier credit with $2,900 down with 1st payment due at signing. Buy price plus tax, title, registration fee, documentation prep. Price and lease include $400 college grad and all incentives and promotions endorsed to dealer. Not everyone may qualify for any or all rebates and lease offers. Prior sales excluded. Vehicles are for illustration purposes only. Price and lease limited to stock number H7093S. Offer expires 4/30/2019. ***Lease includes all dealer fees and does not include College or Military Rebates. If you qualify you will save more. Lease payment plus tax and first payment due at signing. Buy price is plus tax, title, registration fee and documentation preparation. Lease and Buy price does not include College or Military Rebates but do include all other incentives and rebates when offered by HMF. Prior sales excluded. Vehicles are for illustration purposes only. Lease based on 36 month 10,000 miles per year and top tier credit. Price and lease limited to stock number H7093S. Offer expires 4/30/2019. *Lease excludes $200 doc prep fee, $20 title fee, $650 bank Acquisition fee, registration fee and taxes. Lease based on 36 month 10,000 miles per year and top tier credit with $2,995 down with 1st payment due at signing. Buy price plus tax, title, registration fee, documentation prep. Price and lease include $400 college grad and all incentives and promotions endorsed to dealer. Not everyone may qualify for any or all rebates and lease offers. Prior sales excluded. Vehicles are for illustration purposes only. Price and lease limited to stock number H6856. Offer expires 4/30/2019. **Lease excludes $200 doc prep fee, $20 title fee, $650 bank Acquisition fee, registration fee and taxes. Lease based on 36 month 10,000 miles per year and top tier credit with $2,995 down with 1st payment due at signing. Buy price plus tax, title, registration fee, documentation prep. Price and lease include $400 college grad and all incentives and promotions endorsed to dealer. Not everyone may qualify for any or all rebates and lease offers. Prior sales excluded. Vehicles are for illustration purposes only. Price and lease limited to stock number H6856. Offer expires 4/30/2019. ***Lease includes all dealer fees and does not include College or Military Rebates. If you qualify you will save more. Lease payment plus tax and first payment due at signing. Buy price is plus tax, title, registration fee and documentation preparation. Lease and Buy price does not include College or Military Rebates but do include all other incentives and rebates when offered by HMF. Prior sales excluded. Vehicles are for illustration purposes only. Lease based on 36 month 10,000 miles per year and top tier credit. Price and lease limited to stock number H6856. Offer expires 4/30/2019. *Lease excludes $200 doc prep fee, $20 title fee, $650 bank Acquisition fee, registration fee and taxes. Lease based on 36 month 10,000 miles per year and top tier credit with $2,995 down with 1st payment due at signing. Buy price plus tax, title, registration fee, documentation prep. Price and lease include $400 college grad and all incentives and promotions endorsed to dealer. Not everyone may qualify for any or all rebates and lease offers. Prior sales excluded. Vehicles are for illustration purposes only. Price and lease limited to stock number H7365. Offer expires 4/30/2019. **Lease excludes $200 doc prep fee, $20 title fee, $650 bank Acquisition fee, registration fee and taxes. Lease based on 36 month 10,000 miles per year and top tier credit with $2,995 down with 1st payment due at signing. Buy price plus tax, title, registration fee, documentation prep. Price and lease include $400 college grad and all incentives and promotions endorsed to dealer. Not everyone may qualify for any or all rebates and lease offers. Prior sales excluded. Vehicles are for illustration purposes only. Price and lease limited to stock number H7365. Offer expires 4/30/2019. ***Lease includes all dealer fees and does not include College or Military Rebates. If you qualify you will save more. Lease payment plus tax and first payment due at signing. Buy price is plus tax, title, registration fee and documentation preparation. Lease and Buy price does not include College or Military Rebates but do include all other incentives and rebates when offered by HMF. Prior sales excluded. Vehicles are for illustration purposes only. Lease based on 36 month 10,000 miles per year and top tier credit. Price and lease limited to stock number H7365. Offer expires 4/30/2019. *Lease excludes $200 doc prep fee, $20 title fee, $650 bank Acquisition fee, registration fee and taxes. Lease based on 36 month 10,000 miles per year and top tier credit with $2,900 down with 1st payment due at signing. Buy price plus tax, title, registration fee, documentation prep. Price and lease include $400 college grad and all incentives and promotions endorsed to dealer. Not everyone may qualify for any or all rebates and lease offers. Prior sales excluded. Vehicles are for illustration purposes only. Price and lease limited to stock number H7038S. Offer expires 4/30/2019. **Lease excludes $200 doc prep fee, $20 title fee, $650 bank Acquisition fee, registration fee and taxes. Lease based on 36 month 10,000 miles per year and top tier credit with $2,900 down with 1st payment due at signing. Buy price plus tax, title, registration fee, documentation prep. Price and lease include $400 college grad and all incentives and promotions endorsed to dealer. Not everyone may qualify for any or all rebates and lease offers. Prior sales excluded. Vehicles are for illustration purposes only. Price and lease limited to stock number H7038S. Offer expires 4/30/2019. ***Lease includes all dealer fees and does not include College or Military Rebates. If you qualify you will save more. Lease payment plus tax and first payment due at signing. Buy price is plus tax, title, registration fee and documentation preparation. Buy price does not include College or Military Rebates. Lease and Buy price does not include College or Military Rebates but do include all other incentives and rebates when offered by HMF. Prior sales excluded. Vehicles are for illustration purposes only. Lease based on 36 month 10,000 miles per year and top tier credit. Price and lease limited to stock number H7038S. Offer expires 4/30/2019. Lease excludes $200 doc prep fee, $20 title fee, $650 bank Acquisition fee, registration fee and taxes. Lease based on 36 month 10,000 miles per year and top tier credit with $1,999 down with 1st payment due at signing. Buy price plus tax, title, registration fee, documentation prep. Price and lease include $400 college grad and all incentives and promotions endorsed to dealer. Not everyone may qualify for any or all rebates and lease offers. Prior sales excluded. Vehicles are for illustration purposes only. Price and lease limited to stock number H6868. Offer expires 4/30/2019. **Lease excludes $200 doc prep fee, $20 title fee, $650 bank Acquisition fee, registration fee and taxes. Lease based on 36 month 10,000 miles per year and top tier credit with $1,999 down with 1st payment due at signing. Buy price plus tax, title, registration fee, documentation prep. Price and lease include $400 college grad and all incentives and promotions endorsed to dealer. Not everyone may qualify for any or all rebates and lease offers. Prior sales excluded. Vehicles are for illustration purposes only. Price and lease limited to stock number H6868. Offer expires 4/30/2019. ***Lease includes all dealer fees and does not include College or Military Rebates. If you qualify you will save more. Lease payment plus tax and first payment due at signing. Buy price is plus tax, title, registration fee and documentation preparation. Lease and Buy price does not include College or Military Rebates but do include all other incentives and rebates when offered by HMF. Prior sales excluded. Vehicles are for illustration purposes only. Lease based on 36 month 10,000 miles per year and top tier credit. Price and lease limited to stock number H6868. Offer expires 4/30/2019.